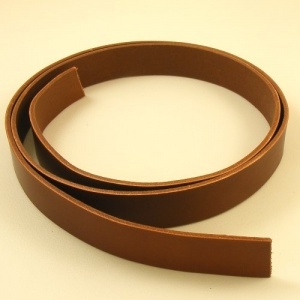 This is a lovely sturdy brandy tan vegetable tanned Belgian cowhide, 2.8-3mm thick and ideal for making belts and straps. The minimum guaranteed length of these strips is of 48 inches (122cm) but they are often much longer. Select the width you need from the drop-down box above. We cut these strips to your requirements, so please double check your strip width and quantity when ordering. Thanks!